A new wave of online consumerism is sweeping across China, making products previously unavailable locally now attainable with the click of a mouse. Guan Yu, a 31-year-old Beijing public relations manager, no longer has to make frequent trips to the US to buy luxury handbags and cosmetics - or to New Zealand for her son's baby formula. She has also abandoned her purchasing agents and foreign shopping websites like Amazon and e-bay, because she can now buy these products directly from Chinese online retailer T-mall, and pay in RMB. "It's so convenient now. I don't have to carry all these bags when I come back from other countries, or trouble my friends to buy stuff for me overseas," Guan said. "I no longer have to struggle with a foreign language website either that requires payment with a foreign credit card. It saves me so much trouble." The growing demand for foreign products has created an opportunity for overseas companies to enter the Chinese e-commerce market. Jack Ma, the CEO of Alibaba, China's largest e-commerce platform, traveled to the US this month, telling the Wall Street Journal that his company wanted to help US entrepreneurs, small business owners and companies of all sizes, to sell their goods to the growing Chinese consumer class. Ma stressed the huge market in China, saying that cross-border purchases by China's online shoppers have grown tenfold since 2010 - from less than 2 billion US dollars to more than 20 billion dollars in 2014. 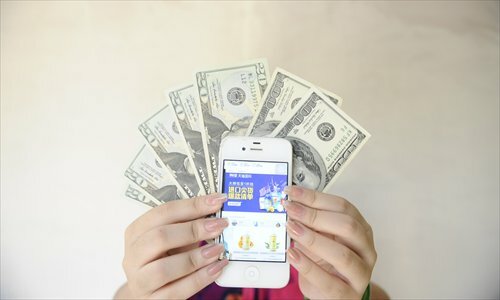 Since its launch in January 2014, T-mall already has more than 150 American companies trading on its platform, as well as companies from Europe, Australia, New Zealand, Japan and South Korea. These include big name brands like Apple and US supermarket chain Costco, but also smaller companies like New Zealand company Weta Digital, which sells items popularized by the movie The Lord of the Rings. Sneakerhead, a small company with annual sales of around $10 million, opened their Chinese online store in January last year. Founded in 2012, it sells fashionable sportswear such as Adidas and Ransom. Kobe Xin, the Senior Vice President of Voyage One, the online store operator for Sneakerhead in China, said that despite being a small brand in the US, the company's annual sales in the Chinese online store is three times as much as in the US. American Joseph Nordstrom and his Chinese wife who are based in the US, operate stores on Taobao, WeChat and Amazon, to sell products like cosmetics and baby formula to the Chinese market. "Currently we serve as purchasing agents for Chinese buyers. We can see that Chinese customers are very eager to buy some good quality foreign products since they think the Chinese products are not always trustworthy," Nordstrom said. They receive an average of 100 purchasing orders across their platforms each month. Before T-mall, Guan usually bought her overseas products from Amazon. "It's a little inconvenient. The websites are mostly in English, and the product descriptions are not detailed enough, so I can't get enough information," Guan said. "I can't talk to anyone at customer service before I place an order. I just couldn't get used to the purchasing process." Guan said delivery costs were also too high. It would cost her over 50 yuan ($8) to have two bags of diapers delivered to her. Guan also needed either a Visa or MasterCard to pay on Amazon and on other foreign websites. But she said that although T-mall is very convenient for Chinese customers, she still thinks their product range is limited. "Take ladies' handbags for example. T-mall only has around 50 brands and the choices are limited. I hope they will expand their range," Guan said. At present T-mall only allows overseas companies to join the platform, not individual sellers. "As long as the companies are a registered entity abroad no matter how big or small, and provide the required documentation such as an establishment certificate, tax certification and bank registration, they can register a store on T-mall," said Pan Hongying, a Public Relations Manager for Alibaba. The annual fees charged by T-mall range from $5,000 to $10,000. Nordstrom said that although business is going well, he also experiences his fair share of problems. "There are a lot of stores that sell foreign products now, good and bad ones. So sometimes, the customers doubt the authenticity of my products," he said. "The logistics service is also unreliable. We use UPS a lot, and sometimes it can take up to 20 days to ship products to China. The customers complain a lot," he continued. "Packages containing cosmetics and nutritional supplements also often get intercepted at customs." Nordstrom said his company often loses money because customers on WeChat and Taobao pay in RMB. He then has to exchange this money and often the rate drops. Nordstrom is planning on developing his own brand of essential oils using rose and lavender to sell in China. "We noticed Jack Ma's speech, and we would like to seize the increasing demand. We are just individual sellers now, but we plan to register our own company and develop our own product line to join the business tide in China." Pan believes that compared with other platforms, T-mall has an advantage over foreign companies because of its large number of active buyers. According to a National Business Daily report in July 2014, Amazon only takes around 2.7 percent of the Chinese e-commerce market, while the Alibaba group (T-mall and Taobao) has 350 million active buyers. Pan said to improve the logistics service and reduce the delivery the time, Alibaba has also set up warehouses several countries to store their products and still manages to ship them to China in a short space of time. "Our company also developed a payment system that allows Chinese customers to pay with their Chinese bank cards, just as if they were buying domestically." Many smaller companies have managed to enter the Chinese market rather quickly, without having to invest large sums of money. T-mall also has international platforms including South Korea, Japan, New Zealand and the US, which launches special local products for short-term sales. Individuals or small companies in these countries who don't meet the criteria to open an online store on T-mall, can contact the company directly to liaise with the trade departments to discuss the sales. "It's like foreigners starting up a business in China, and we are connecting the producers with customers," said Pan. Some Chinese consumers are welcoming the competition from foreign companies in the domestic market, as more of them join the Taobao platform. "I think with more foreign companies competing with domestic products, the domestic producers will strive to improve the quality of their products," said Guan.